SnapCacklePop: Jessica Mauboy makes it back to the dance floor..! Jessica Mauboy makes it back to the dance floor..! 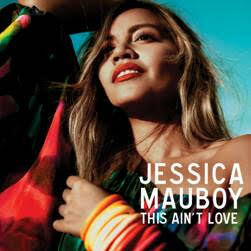 Last year was the year of Jessica Mauboy. After her massive album Beautiful, being part of the Commonwealth Games and then guest singer at Eurovision, the singer really had to pull something out the bag to become big again in 2015. Well she casually dropped the new single as a surprise on her social media over the last few days and has come back with R&B dance floor anthem. This Ain’t Love, which Jessica co wrote with Sneddon & Carl Ryden who also produced and mixed the track, is a power packed song that features Jess’ incredible vocal with a driving beat and fresh sound that is designed to turn up and play loud! This Ain’t Love is the first single from her forthcoming new studio album, comes off the back of the hugely successful platinum selling album Beautiful, which spawned 6 hit singles and saw Jessica receive an ARIA for BEST FEMALE at the 2013 ARIA Awards. So not only can you sing and dance like Jess Mauboy you can now smell like her too! Get your copy of the new single on iTunes now..!